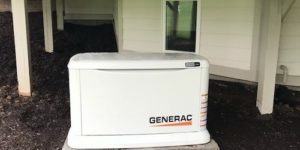 Generators – Nasr Electric, Inc. 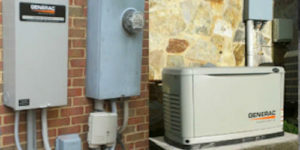 In Washington DC area, weather is not helping, thunder storms, floods and heavy winds in the summer, cold icy and snow storms in the winter, leading to lot of power outages for many long days and causing terrible losses for business owners and home owners alike. 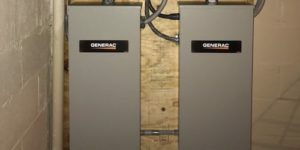 When you need to use the power urgently, a power outage will strike, having a backup power generator that automatically picks up and keeps your home powered is a must. 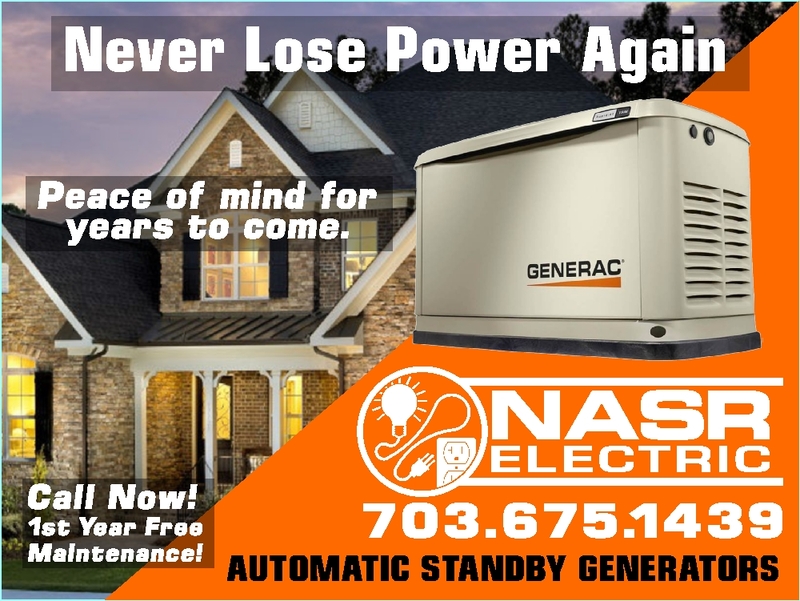 NASR Electric can install a system that can power the most important lights and appliances or if you want we can install a full house generator that can handle powering the entire house. 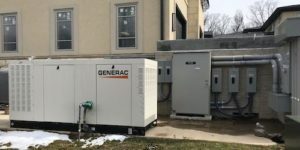 These systems generators run on natural gas or diesel, the backup generator will be connected to your electrical panel, the moment is detects the power loss from your utility company, will automatically start so you will get a backup power within few short seconds. 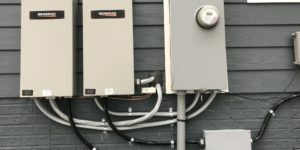 Your electrical backup generator will be installed in a way to safely run during the power outage because it will disconnect your house from the utility company while it is running. 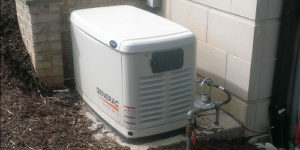 In case the power is going on and off, the backup generator will not go off and on. 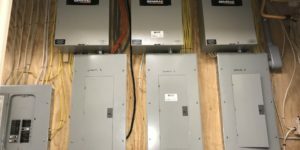 Once the utility power has been on for 20 minutes, then it will go off and the power from the utility company will be powering your home again. 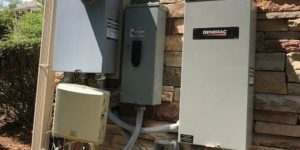 Natural gas powered backup generators give you peace of mind without the need to handle or store other any other type of fuel since natural gas service is already supplied to most homes. 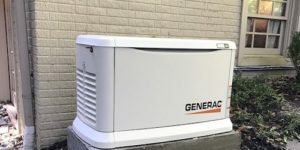 In the case where you don’t have natural gas service at your home, diesel may be your best solutions because diesel generators can run up to 24 hours on a tank, depending on the size of the diesel tank you decide to install. 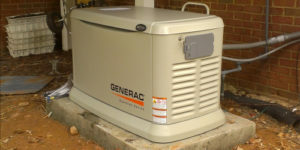 Having problems with your generator or considering installing a new one? 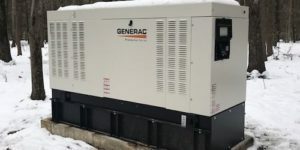 2019 (с) Nasr Electric, Inc.